Philadelphia 76ers guard Markelle Fultz (20) drives around Orlando Magic guard Jerian Grant (22) during the second half at Amway Center. Numerous reports and wild conspiracy theories seem to surface on a daily basis about Markelle Fultz in an effort to explain the up-and-down trajectory of the No. 1 pick. At least one has been outright shot down by the people around the second-year guard. The Sixers declined to offer a comment on the situation when contacted by PhillyVoice. A team source, who says contact was made between Brothers, Fultz’s mother, Ebony, and other members of Fultz’s inner circle, struck the same chord as Fultz’s agent. “No one is quite sure where the hell that story came from,” a source told PhillyVoice. The twists and turns of the Fultz story have not stopped there this week. In the aftermath of Fultz’s free-throw attempt that went viral for all the wrong reasons earlier this week, stories leaked to members of the press regarding Fultz’s relationship with trainer Drew Hanlen, and an alleged falling out between the mentor and mentee. A Twitter thread on Wednesday also purported to show that Fultz was the victim of a misdiagnosis with regards to his shoulder issues last season. Fultz recently addressed reporters regarding his current health, saying he was all good following a claim to the contrary from Hanlen in a since-deleted tweet. "For sure," Fultz said when asked if he was 100 percent healthy on November 6. "I mean, nobody is ever 100 percent healthy in this game. You play five games in seven days and you get bumps and bruises." Brothers had this to say regarding the non-motorcycle portion of the rumor mill regarding Fultz over the last year or so. “In terms of stuff that’s going on with Markelle, he’s a 20-year-old kid, he’s got a fantastic mom and a good foundation,” said Brothers. “Most professional athletes have to make an adjustment from college to the pros, and that’s what Markelle is doing…[the constant speculation] is unfortunate." 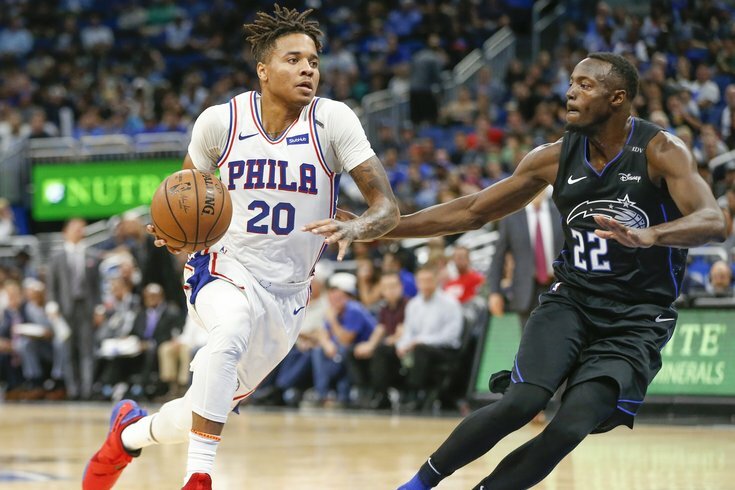 In his first game following a move to the bench to form a new starting lineup around Jimmy Butler, Fultz scored eight points against the Orlando Magic on Wednesday, adding three rebounds and two assists in 21 minutes.